This is post No.1 - just to register that I have started! All going well so far - taking benefit from all the instruction and advice in other blogs! Your'e just a little ahead of me; although I've been making my building board for the next three builds. Look forward to seeing your progress, and you make a valid point that it's useful for us first time plan builders to follow others that have already experienced the issues we are coming up against. Look forward to seeing yours fly Steve. 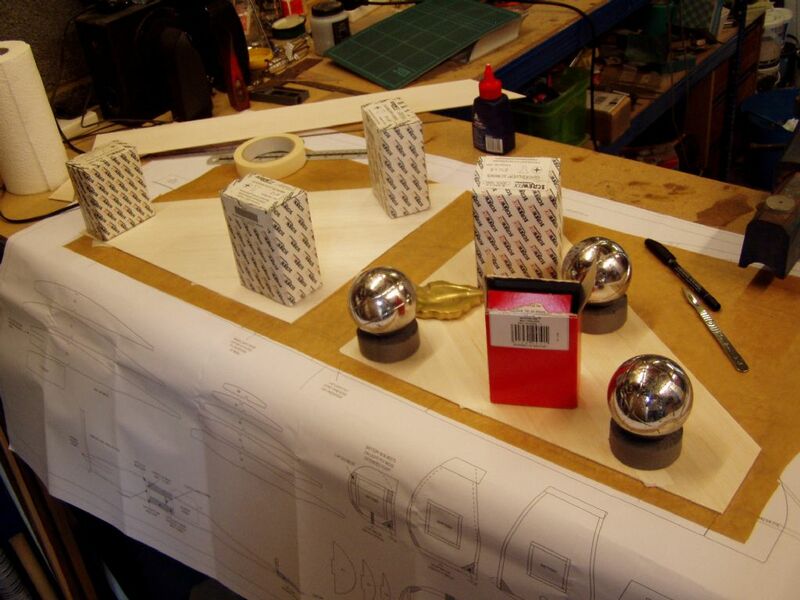 The early part of the build seems very quick when you're working with an accurate set of laser cut parts. So I started on the wings in parallel, so that there's always something else to do whilst one part is drying. Then I tried the ammonia trick. I was really impressed with how well it works. But 2 days later I'm still getting whiffs of that smell! In hindsight, I probably shouldn't have used that tin of tomatoes as a mould for the intakes. I forgot that it would print the upper lip of the tin into the inside of the balsa. But nobody will see it! 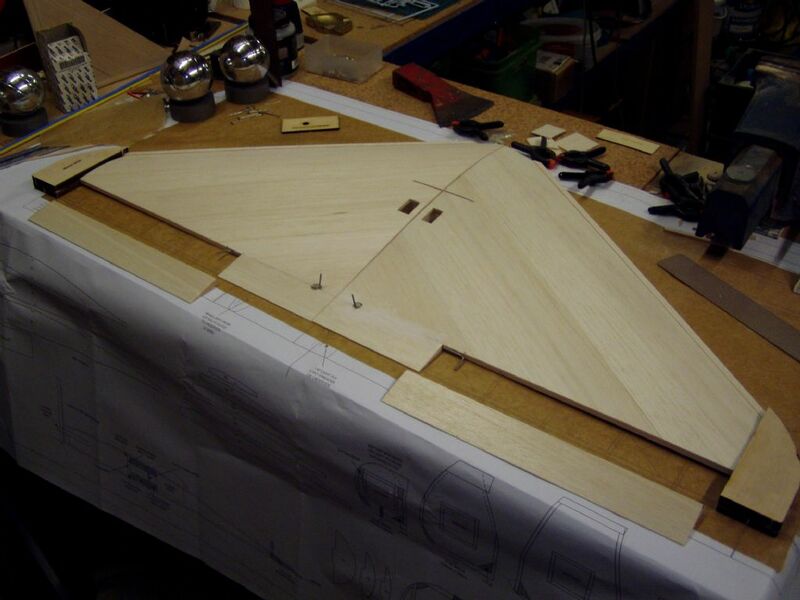 And 1/2 inch decks added tot he upper fuselage. 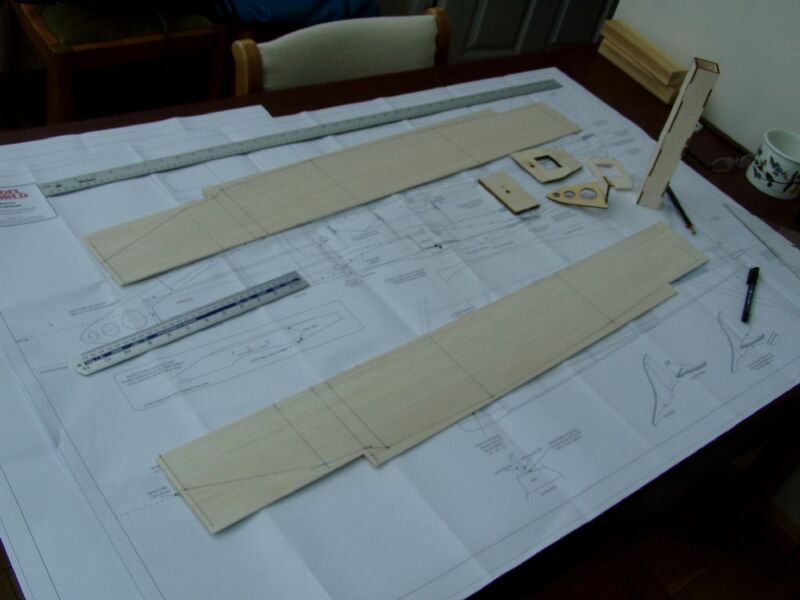 great photos Steve, you are ahead of me , I have nearly finished the fuselage but my F9 is bigger than the fuselage end for some reason, even though all the measurements etc are correct. Did yours fit ok? Nice work Steve I haven't done anything on mine in weeks, what with coaching running courses etc. But I'm having to take a couple of weeks off due to Achilles Tendonitis so hopefully I can get on with some work again. Shane, F9 is drawn oversize intentionally it is not a true former, more of an end cap. It doesn't sit between the fuselage sides like all the other formers. 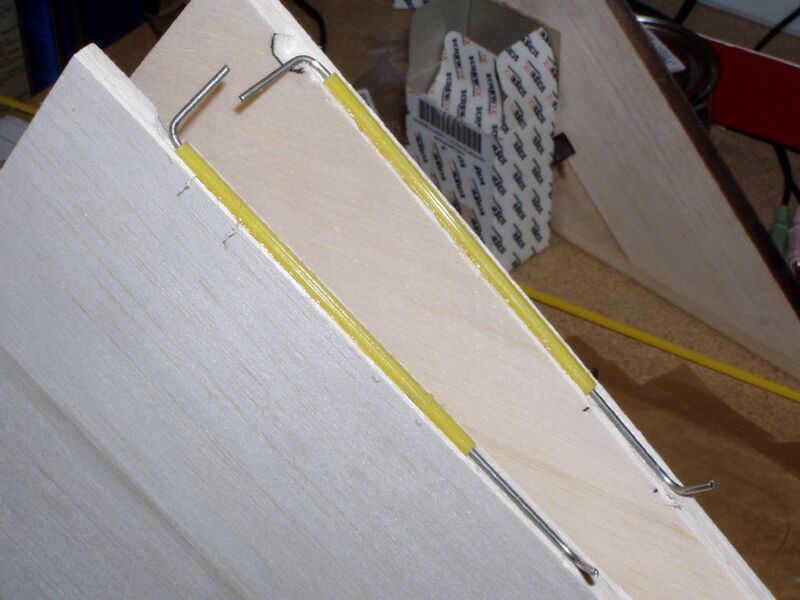 Simply square up the sides and top and bottom sheeting at the back end and glue F9 onto the end to tidy everything up and produce the hole to suit the exhaust tube. 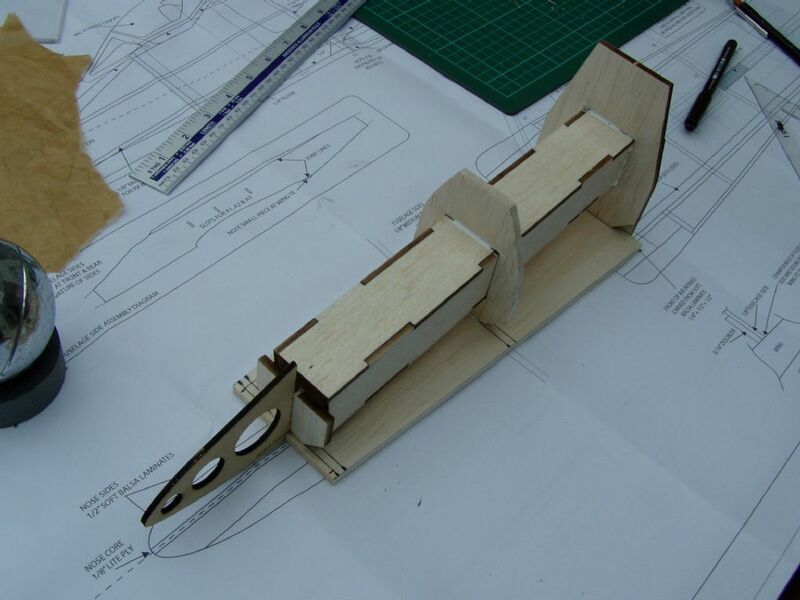 I have now fitted the elevator servo and snake to the fuselage, and done a bit of rough shaping. And tonight I fitted the top skin on one of the wings. I have gone for the 2 servo option - just in case it ever proves useful in the future! Looks lovely that Steve - good job! 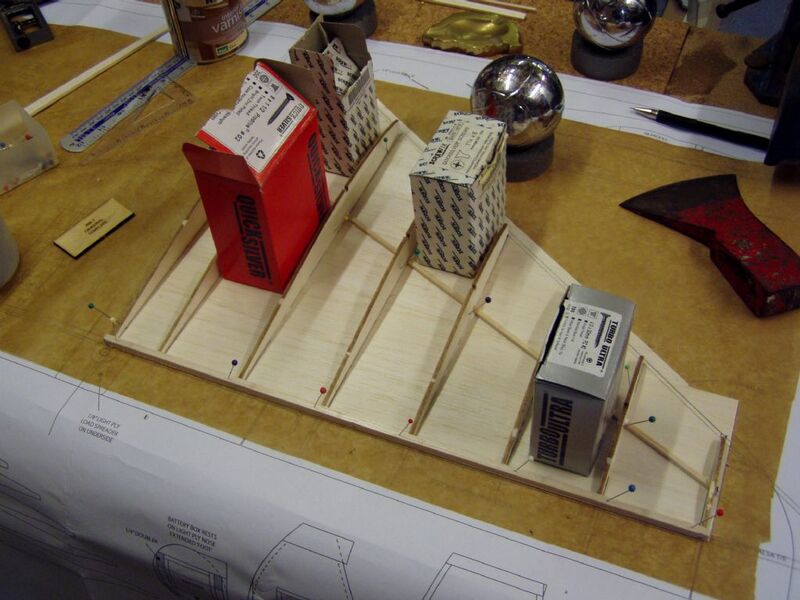 2 servo wing is a good idea - will enable draggerons for landing or perhaps flapperons for those light lift days - the prototype was built with a single std size servo just to prove it can be flown that way with basic R/C gear...so you are leading the way with the programmable set up! Looking lovely Steve - I like your parallel - fus and wing build ! 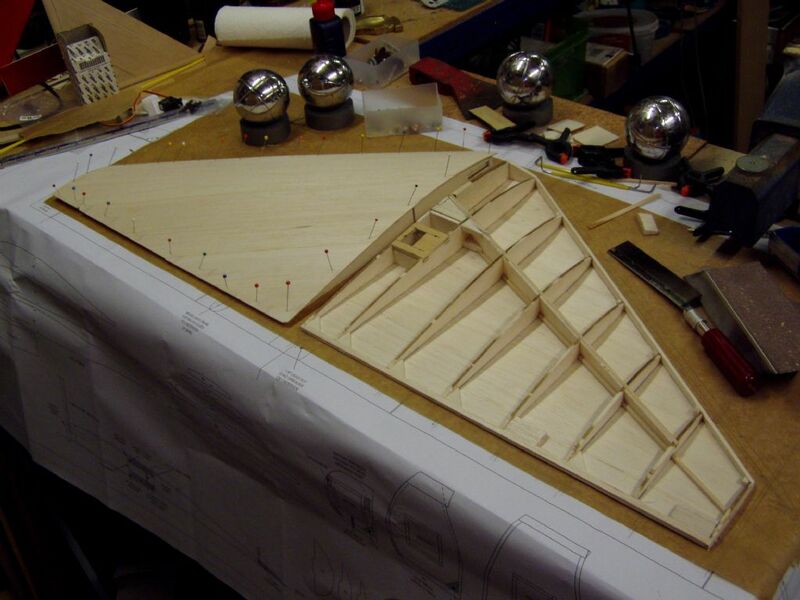 Can I ask - I think I see it on the images but cant be sure - at the wing roots have you allowed a little extra bottom sheeting inboard and parallel to the first rib on each wing ? Presumed to be trimmed later at the point dihedral added and wing joined? Looks to be maybe 5mm? I assume same would be the case on top sheeting - then trim all square. 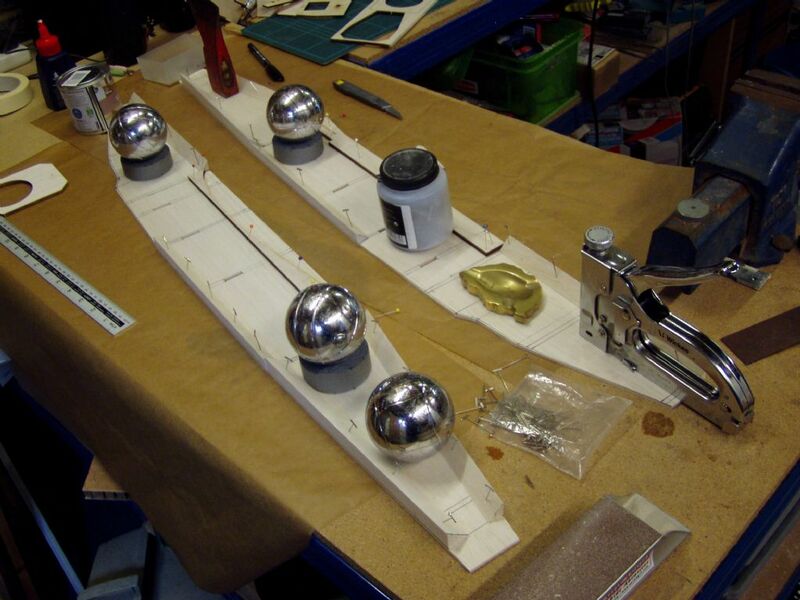 Hi Harry, Yes I made the skins oversized, I then pinned the bottom skin to the board and marked the lines of the ribs, LE, TE and Spar, onto the skin. 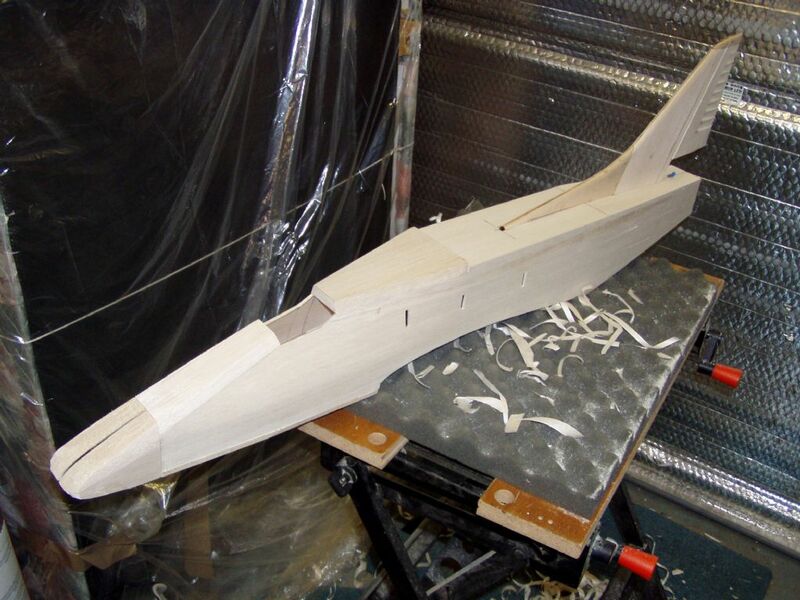 But I trimmed it all square before fitting the top skin - mainly because you have to sand the LE and TE to shape anyway, but I found it also helps to be able to check the fit of the dihedral brace, if both wings go together properly at that stage. Hi Steve many thanks - got it now. 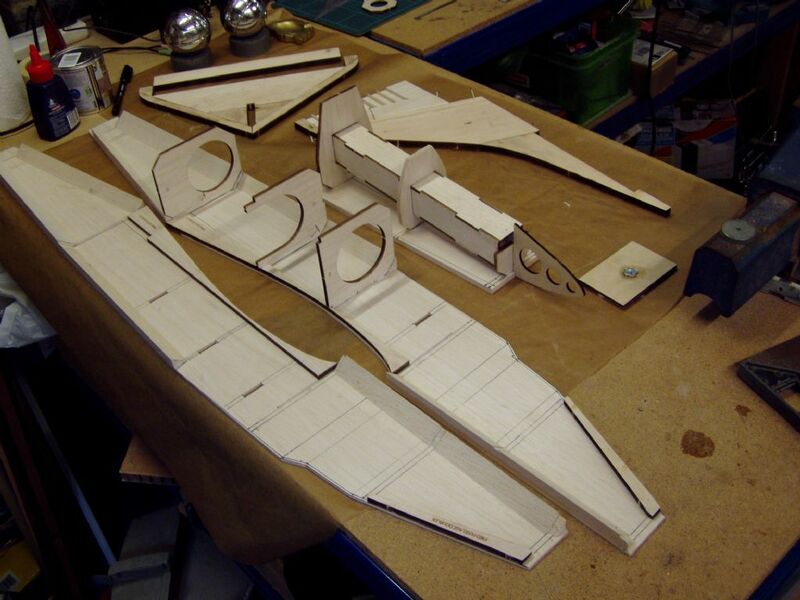 I will be getting onto the wing soon - got the plan all laid out - may not start in the next few days though - trying to sort out a cluttered workshop and prep stuff for this weekend! That's rapid progress, Steve. 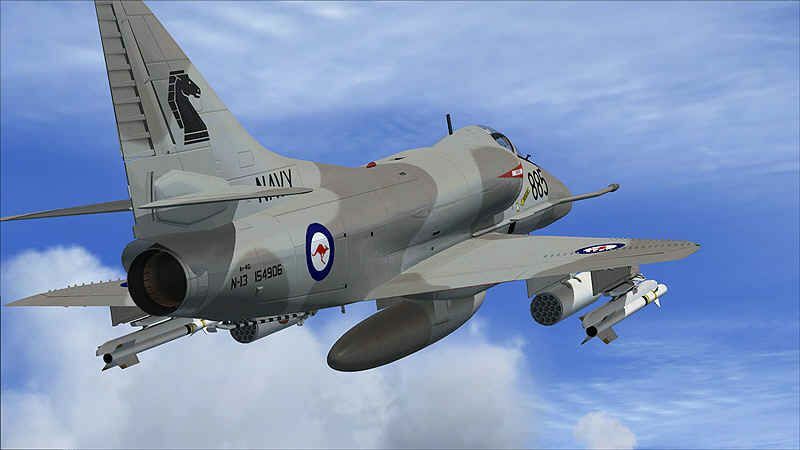 Have you decided on a colour scheme and A-4 mark yet? I see you've added gussets at the TE of each rib, and some small blocks at the LE for extra support. I did wonder about the TE strength myself, as the ribs are very thin there. The extra gussets might help avoid breakages when colliding with rocks on the Orme! Yes I added the gussets partly for extra strength but also because one or two of my ribs didn't seem to quite meet the false trailing edge! I found that having marked out the false TE and False LE lines, the ribs seemed a bit short. You don't have a solid reference at the front of the ribs. 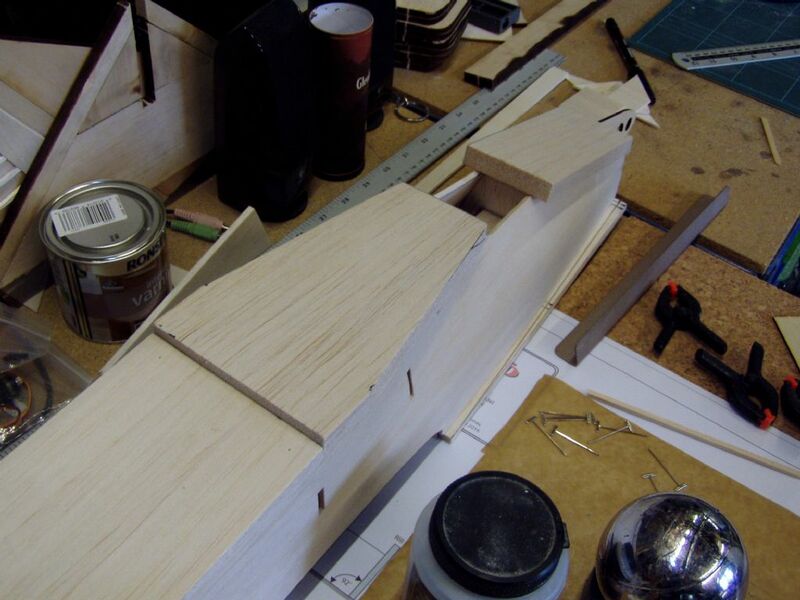 at this stage of the build, and there's a bit of uncertaintly on how to how to chamfer the cut for the spar, but I didn't seem to have enough rib to achieve a good fit with both the TE and the LE. I only achieved a partial chamfer on the front of the rib to the LE. Probably my bad building! Did anybody else find the same problem? I saw your question about the false LE. For what it's worth, I chamfered mine in advance and added it to the ribs before curling the bottom skin as you suggested. It seemed to work well, but other methods are available! I didn't have the same problem with the ribs, although I aligned everything against the TE strip, so the TE of the ribs fitted perfectly. 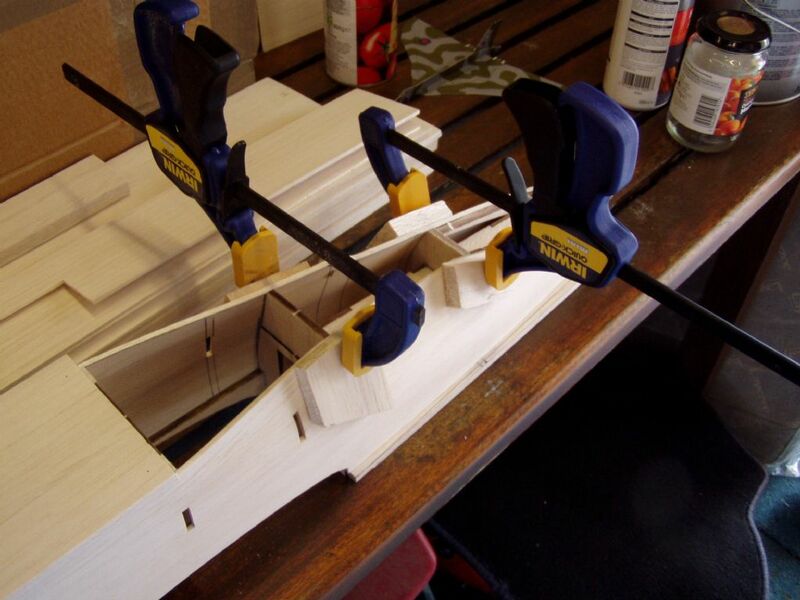 I then used the slots in the ribs (after filing to an angle) to 'dry fit' and align the spar on the lower sheet before glueing. It was more or less over the line I had drawn, perhaps slightly rearward. 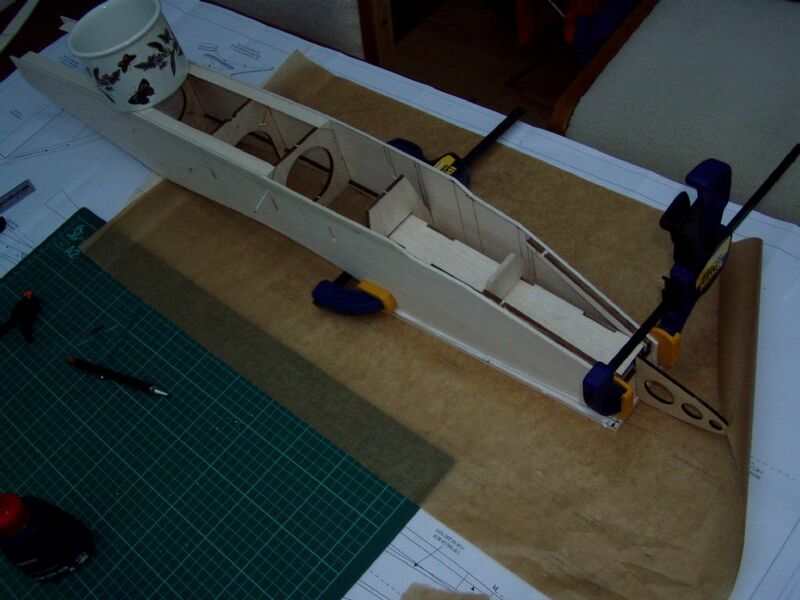 I totally ignored the drawn position of the sub-LE, as I fitted it after rolling the lower sheet onto the ribs. I sanded a full angle on each rib LE. However, I have ended up with a small kink in the sub-LE. I think rib R2 is slightly longer (on both wings) than it needs to be - I should have checked this before assembly I suppose. I'll either sand out the kink, or just accept a slightly curved LE! You cunningly avoided my question about your chosen subject - are you keeping it under wraps? Ah the colour scheme - no, I'm not avoiding the question. I'm just a bit behind on that aspect. Not being very familiar with the A4, I have no Strong preference. I know that people like to see to lots of different schemes, so I have been looking for something which hasn't already been taken ( at least by the UK contingent who are likely to turn up to the big Orme event). So far I ave come up with this - Aussie Camouflage! I like this. It should give me the same disorientation problems I get when flying my full camouflage Tornado! 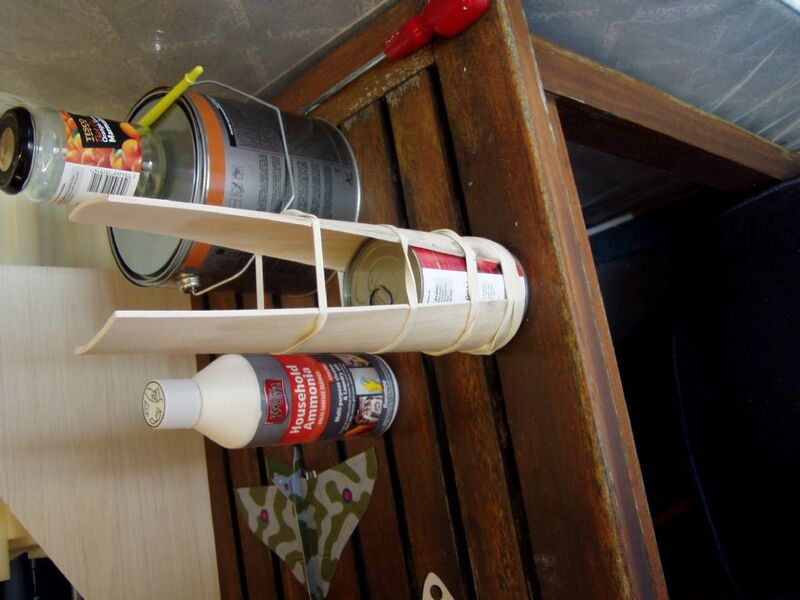 But, If anybody is already doing this scheme, please let me know, and I will search for something else! yeah like that Steve! - I like the high viz roundels and intake warning markings in contrast with the drab camo... very nice! Since my last posting, I have finished skinning the right wing, and epoxied the torque rod sleeves into a groove in the false TE. 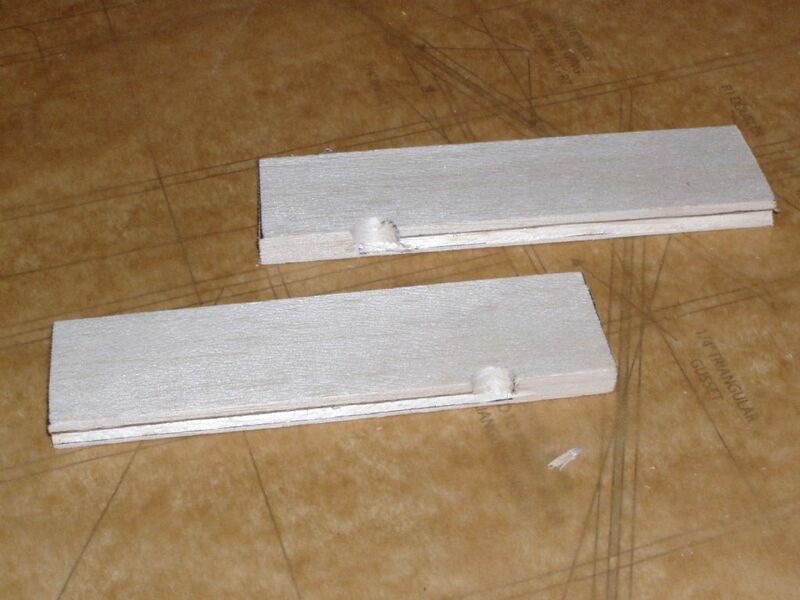 Then I cut a matching groove into the fixed TE parts. 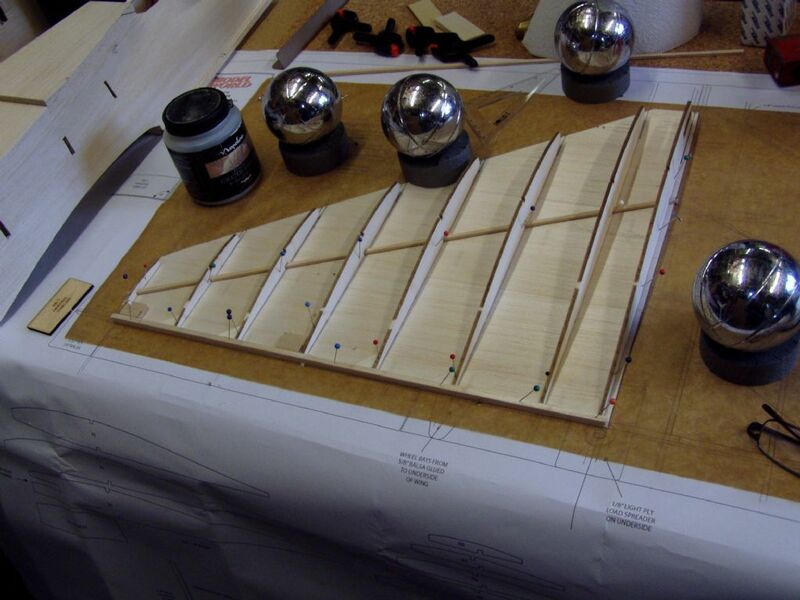 after glueing them both together, and sanding the TE profile to match, I added the wing tips. 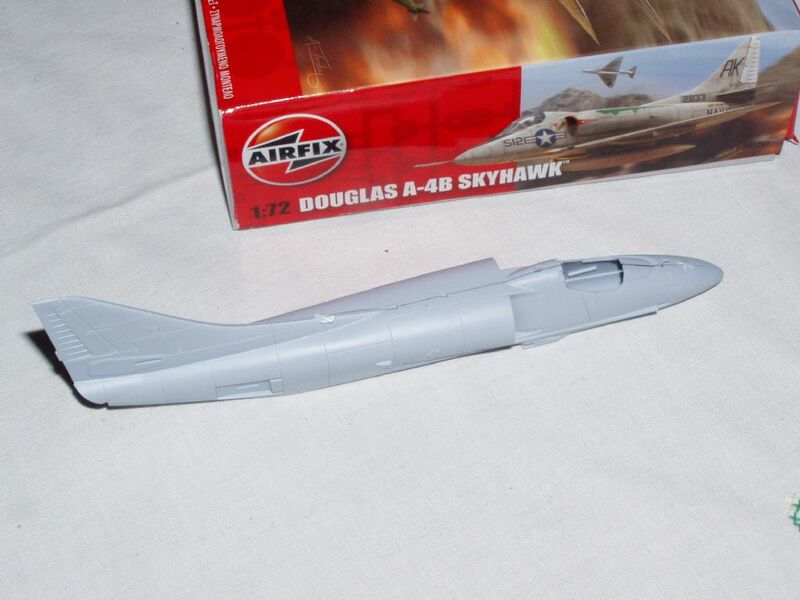 Then, turning my attention back to the fuselage, I decided i needed to go out and buy one of these to help me understand the shape I was aiming for.